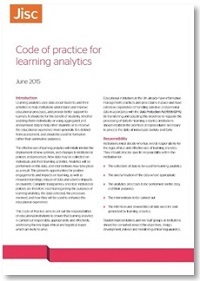 Enshrined in our Code of Practice for Learning Analytics is the principle that learning analytics should be for the benefit of students. It’s important for ethical and legal reasons to ensure that students with special needs are able to benefit equally from the technologies, and are not put at a disadvantage by the collection and use of their data. Here are eight ways in which institutions can attempt to ensure this. A key issue to note is that learning analytics is not the same thing as assessment. Jisc’s Code is explicit about this. It’s conceivable that the analysis of student engagement in learning could be used to contribute to grades: this already occurs where, for example, attendance at a certain proportion of lectures in a course is compulsory. However, I’m assuming here that the areas are kept separate, and that learning analytics refers to new forms of analysis, building on data relating to areas such as demographics and student engagement. The aim should be to assist learners rather than assess them. If this division is adhered to by institutions, disabled students should not be concerned that analytics will have a direct impact on the marking of their assessments. 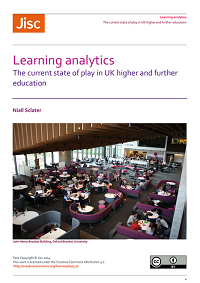 A more immediate concern is to ensure that learning analytics does not adversely impact on the perceptions or treatment of disabled students by staff or other learners. A number of scenarios can be envisaged where this might occur. A tutor dashboard which foregrounds the student’s disability, for example, might give exaggerated prominence to it. On the other hand if the student has informed the institution of a disability then reasonable adjustments must be made, and presenting the information in a staff dashboard may be one way to help ensure that fair and supportive treatment occurs. There’s a duty on institutions to keep the details of learners’ disabilities confidential. 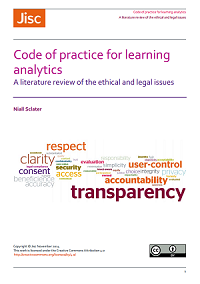 Learning analytics systems must maintain this protection and ensure that these are revealed only to those who have a professional requirement to know them. Students also have a right to expect such details are kept within the institution and not passed to a third party such as an employer, unless specific consent is given by the student. It’s possible that learning analytics could identify certain disabilities unintentionally. A student may, for example, exhibit behaviours typical of a dyslexic learner, which are then highlighted by the analytics software. It may be, too, that the student does not recognise that they have a particular disability, and the software has identified it for the first time. Systems which perform such analyses are not currently widely used. If they are in the future then appropriate policies and staff training in how to advise students will need to be put in place. 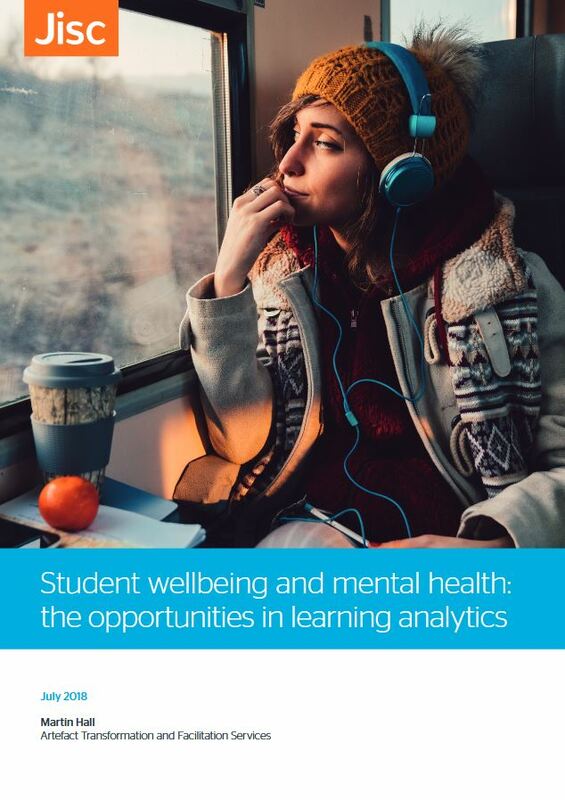 Learning analytics systems could also identify patterns of engagement by disabled students which suggest that they are at academic risk, when in fact they’re on track. A learner may, for example, have a disability which means she can only attend lectures sporadically. Analytics which use attendance monitoring data might suggest that she’s at risk, while she may already be deploying an alternative strategy to keep on top of any course requirements. The mediation of any interventions by a personal tutor may help to ensure that individual circumstances are taken into account. However, if any automated alerts are sent out to students, it may be difficult to make sure that they’re always directed appropriately. Algorithms could be developed to take into account student disabilities, though, given the unique nature of each students’ situation, the multiple disabilities experienced by many, and the fact that many learners do not declare disabilities, it’ll be impossible to tweak the predictive models to handle every situation perfectly. Guidance for students in such circumstances may therefore be a way forward – informing them, for example, that predictions may not always be accurate, and that if they have any concerns they should speak to their personal tutor. Analysing the engagement and achievement of disabled learners may provide insight into how accessible a module is. Cooper, Ferguson & Wolff compared the completion rates of disabled and non-disabled students at the Open University and identified modules with disproportionately high drop out of disabled students. They propose carrying out critical learning path analysis in the future to attempt to discover the precise nature of the accessibility issues which are leading to attrition. Any apps, dashboards or websites targeted at students should have accessibility features built in, enabling, for example, the use of screen reader software, the avoidance of colour schemes which are inappropriate for colour blind users, and the ability to increase font sizes. Providing web-based versions of student apps may be necessary. The World Wide Web Consortium (W3C) provides guidance for how to ensure website accessibility. The wording and tone of messages sent to students as a result of learning analytics could have an impact on their motivation and future academic success. Students who are already dealing with certain issues such as depression may be more susceptible to demotivating messages, giving further impetus for the institution to ensure that interventions are handled sensitively for all students. Learning analytics brings the potential to improve the situation for students with disabilities by, for example, helping to ensure that any special requirements they have are taken into account by the institution, or by identifying parts of the curriculum which have accessibility issues. Analytics may also enable the identification of disabilities which learners may not even be aware of themselves, and thus help the institution to provide solutions which are more tailored to the individual. Dashboards may facilitate the recording of disabilities which are revealed to tutors during meetings with them. This may then help to ensure appropriate adjustments in the future. Meanwhile, adaptive learning systems, as they evolve, are set to provide much more personalised learning experiences which take into account the needs of individual learners. The potential benefits of all this are considerable. 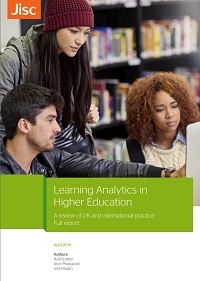 Universities and colleges will, though, need to ensure through appropriate technologies, policies, practices and guidance, that disabled students are not disadvantaged in any way by the use of learning analytics. 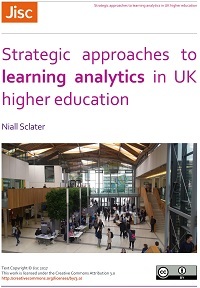 In particular, they should check that any student facing learning analytics systems are accessible, and that any interventions arising from the analytics take into account the specific needs of disabled students. 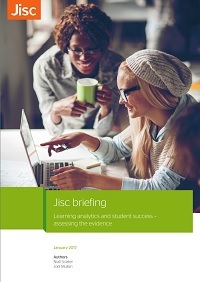 I’m exploring with Julia Taylor, Jisc’s subject specialist in accessibilty and inclusion, and other colleagues, how we can ensure that students with special needs can benefit fully from learning analytics, and not be put at any disadvantage. We’re looking at holding a webinar in February and other sessions to involve institutions in this thinking. Meanwhile if you have any thoughts on my suggestions above, we’d welcome them. Cooper, Martyn; Ferguson, Rebecca and Wolff, Annika (2016). What Can Analytics Contribute to Accessibility in e-Learning Systems and to Disabled Students’ Learning? In: LAK ’16: Proceedings of the Sixth International Conference on Learning Analytics & Knowledge, ICPS: ACM International Conference Proceeding Series, pp. 99–103. Posted by Niall Sclater on December 14, 2016 in Accessibility, Ethics, Legal Issues, Policy. Thanks for this. It is very informative and will provide a basis for discussion inside the University. Thanks Christine. Would be very interested to know how the discussion goes.